The HSS Health and Safety Services Asbestos Awareness Training Course is bar none the most comprehensive and useful training course offered on the market. 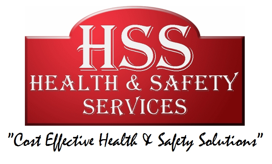 HSS Health and Safety Services have been actively involved with Asbestos management for many years and have a vast knowledge and hands on experience of all asbestos related areas. At HSS Health and Safety Services we have developed our Asbestos Awareness Training Course over numerous years to be the leading course available in the UK. At the end of the Asbestos Awareness Training each candidate will complete a multiple choice exam on aspects covered within the course. Successful candidates receive a certificate of attendance and pass mark proving competence through the HSS Health & Safety Services Asbestos Awareness Training syllabus which is valid for 12 months. (In line with the requirements under The Control of Asbestos Regulations 2012). Dependent on the number of persons in attendance during one course on the same day. No minimum number, but the more in attendance the cheaper the price per person. Training dates are not posted on this website. Please contact HSS Health and Safety Services to request availability and price. Prices are quoted taking into consideration travel distance, venue, time, course(s) required, number of candidates and number of courses booked at once.